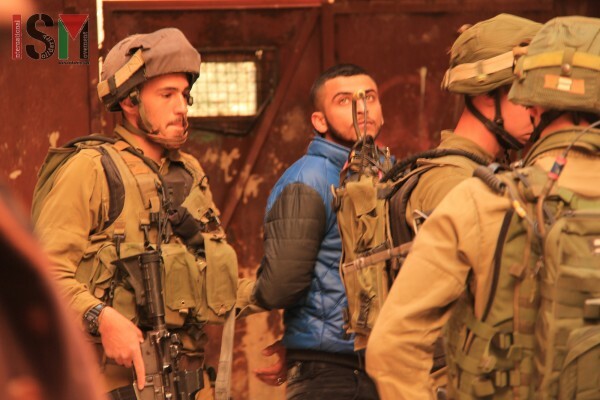 On 25th February 2016, Israeli forces violently arrested two Palestinian men in the souq, the Palestinian market, in occupied al-Khalil (Hebron). Both of them were arbitrarily arrested and finally allowed to leave only after residents intervened. Israeli forces entered a Palestinian house in the souq that is undergoing renovations already in the morning – as settlers from the nearby illegal settlements had repeatedly complained about the ongoing renovation work at the Palestinian house to the army. Following the orders of the settlers, the Israeli army entered the Palestinian market and the Palestinian family home in order to stop the renovations. Similarly, in the afternoon, Israeli forces climbed the staircase to the roof where they stayed for about an hour. International observers that arrived in the house were prevented by the Israeli forces from accessing the roof as soldiers pointed their guns at them to force them to stay at the bottom of the staircase. When the soldiers finally left the family roof, it became clear that they had arrested two Palestinian men. They clearly dragged one of them, Yusef, down the staircase with his arm painfully twisted behind his back, even though he at no point resisted or fought back. Israeli forces also violently pushed him into a door. A second man, an engineer with the Hebron Rehabilitation Committee that is overseeing the renovations in the house, was forced to come with the soldiers. They briskly walked both of the men to the back entrance of the illegal settlements, where they were held in front of the door that directly leads into the settlement by the group of seven soldiers. The whole time, Yusef had his arm twisted behind his back by a soldier, that would not let go of him. When international observers asked the engineer for his name, in order to be able to inform his family about the arrest, soldiers forcefully instructed him not to talk to them. Palestinian families living close to the entrance to the illegal settlement came out of their houses, trying to find out why the two men were arrested. Soldiers refused to give any information though, and only when two residents that were able to speak Hebrew talked to the soldiers, did they say what the problem was. According to the soldiers, Yusef was arrested as his ID was ‘old’, meaning it was worn out. 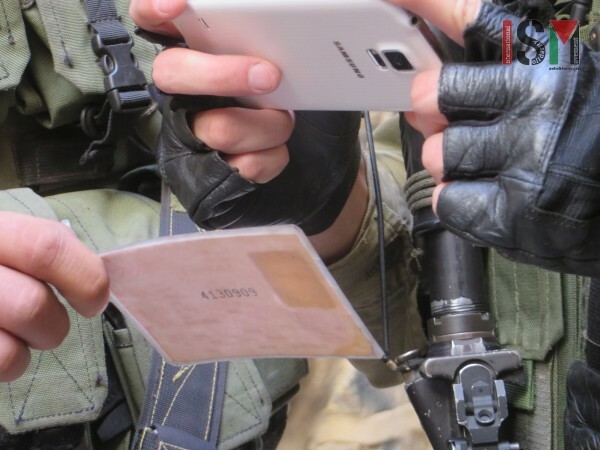 As residents took out their own ID-cards and compared them with Yusef’s to show to soldiers that this does not mean that it is a mere photocopy of an ID-card, but how the green West Bank Palestinian ID-card actually looks like, they eventually let him go. The other man was also eventually allowed to leave. 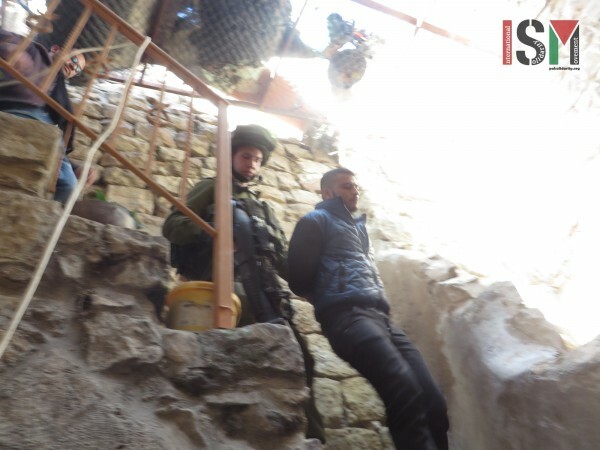 The soldiers disappeared back through the door into the illegall settlement located in the historic city center of al-Khalil. The power the settlers living there wield over the soldiers is clearly illustrated by simple complaints by them resulting in soldiers stopping renovations in a Palestinian house that had previously been approved by the Israeli government, and the entirely arbitrary arrest of the two Palestinian men.